Baklava has to be one of my all-time favourite desserts ever. Honey, sugar, nuts, sugar, pastry, sugar, butter, sugar. A dessert created for the sultans of the Ottoman Empire. What’s not to like? And since it’s not technically a cake or a biscuit, it’s a perfect sneaky Lent treat for anyone who’s given up cake or biscuits! My housemate pointed this out cheerfully as he sprinted across the kitchen towards it, in the middle of his biscuit/cake/bread-free Lent period. Needless to say, I did not give up either cakes or biscuits, I just fancied baklava and have an astonishing lack of willpower, so I made it. The recipe is partly Mary Berry, partly the ‘Orgasmic chef’ blog, partly improvised based on the ingredients I found in my cupboard. Hence, no pistachios, but that makes it a cheaper and in my opinion equally delicious, alternative. Combine all the ingredients for the syrup in a saucepan. 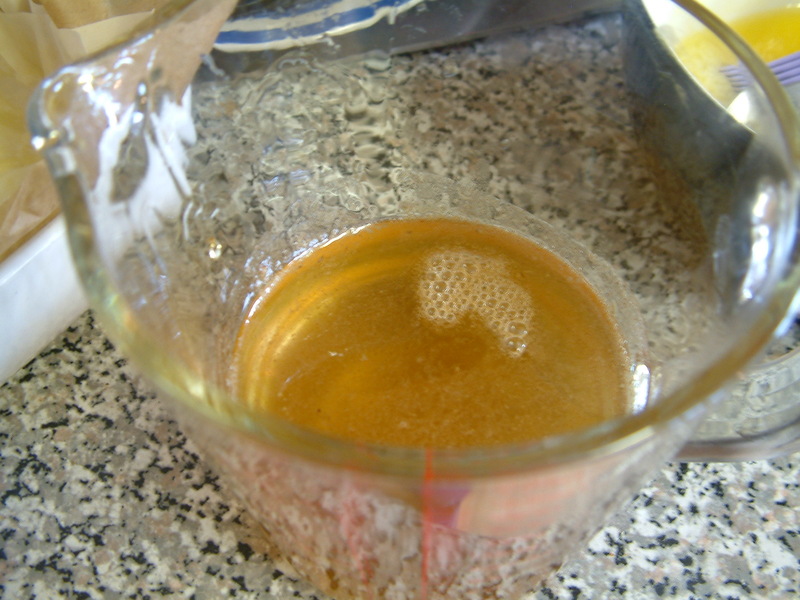 Cool it over a medium heat, and keep stirring until the sugar has dissolved and it begins to boil. Then reduce the heat and simmer it until it has thickened slightly – this should take 10-15 mins. Once this is done, tip it into a measuring jug and leave it to cool. 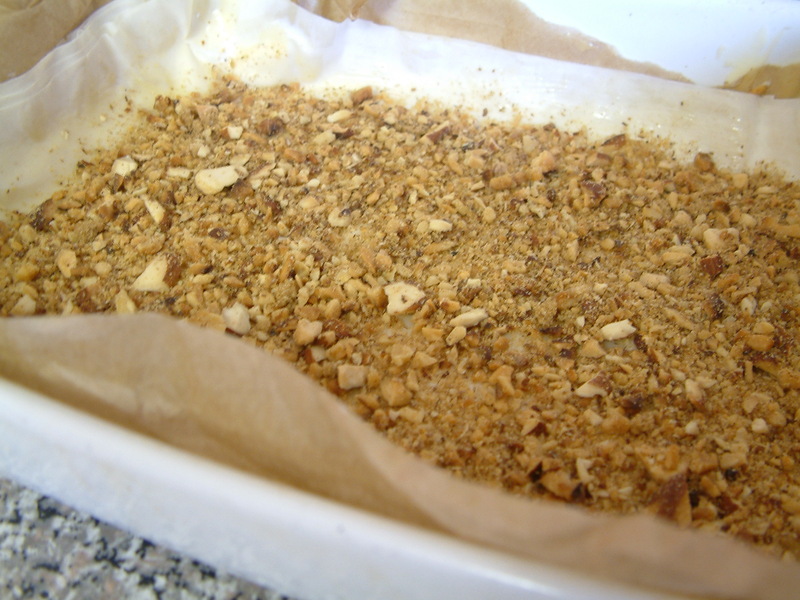 Roast the walnuts and the almonds in the oven at around 200°C (fan oven) for 7-10 mins. When you remove them, leave the oven on. Mix together the walnuts, almonds, sugar and cinnamon, then chop them up in a food processor (or by hand if you have all the time in the world/want to avoid doing anyhting else for the rest of the day). Grease the tin and lay down one sheet of file pastry across the bottom – it doesn’t matter if it goes up the sides a little as well. Brush the sheet with some melted butter. Put another sheet of filo on top of this, and again brush it with melted butter. Keep repeating this process until you have 6 layers of filo. Once you’ve buttered the 6th sheet, sprinkle on one third of the nut mixture. Apply another 6 sheets of filo, brushing with butter in between. Then sprinkle on another one third of the nut mixture. Repeat this with another 6 sheets, sprinkle on the last of the nuts, then cover with 6 more sheets. Once you’ve buttered the top layer, cut off the edges of the pastry which are sticking up around the sides, so you have a nice even top. 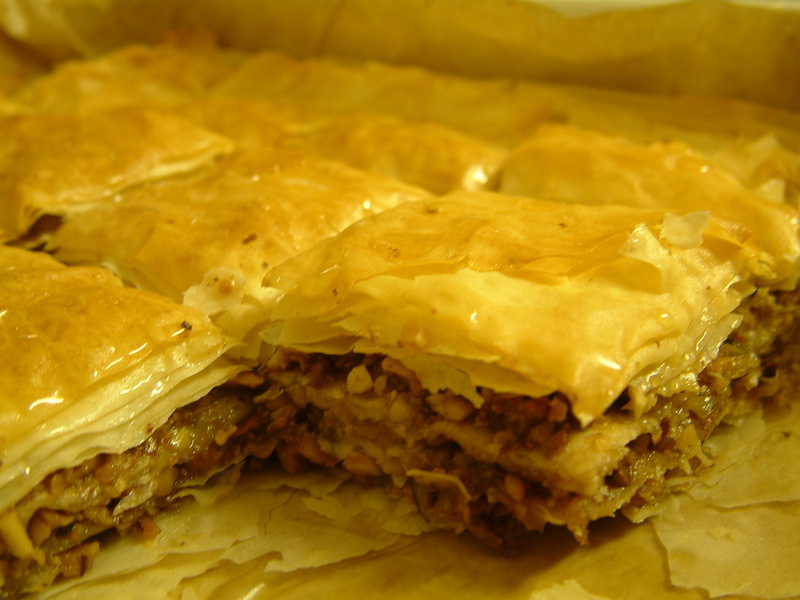 Cut the baklava into squares, but only cut down to about half the depth of the baklava – leave the bottom half intact. Bake for 15 mins at 200°C, then reduce the temperature to 160°C and bake for another 10-15 minutes until crispy and golden brown. Remove from oven. Whilst it’s still hot, pour over the syrup you made earlier. Now leave it to cool (there aren’t many baked goods I find are nicer when they’re cold, but baklava is one of them). Enjoy those sticky squares of deliciousness on their own, or with some pistachio ice cream (I couldn’t completely forego the pistachios, after all). 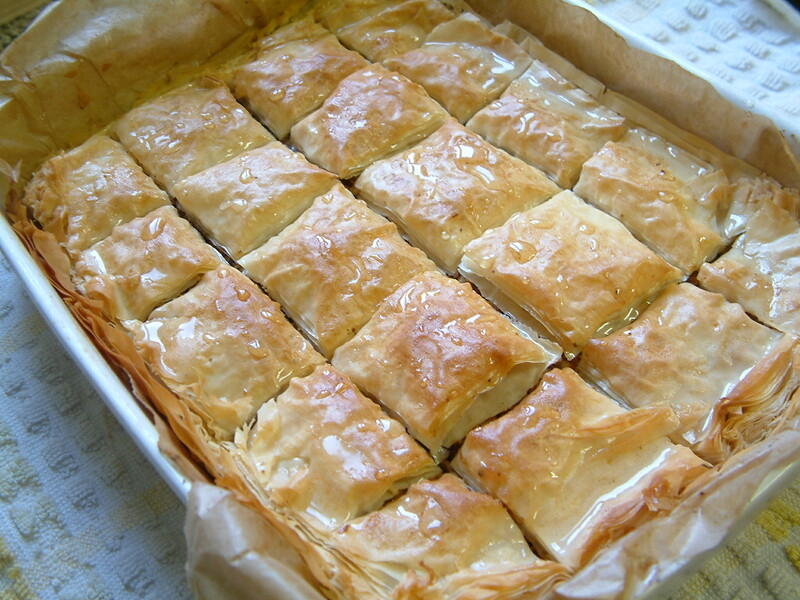 This entry was posted in Desserts and tagged baking, baklava, dessert. Bookmark the permalink.